The idea of a romantic getaway often conjures up images of a couple strolling hand-in-hand along a sugary beach, snuggling in front of a fireplace or perhaps enjoying a horse-drawn carriage ride through cobblestoned streets. There are simply some places that make us want to fall in love. Almost everyone agrees that there’s a certain romance to being near the ocean. And while there are plenty of places to make those magical sunset beach strolls happen, very few locations can also boast the added appeal of European ambiance and over four hundred years of history that St. Augustine offers. Exquisite architecture and storied buildings; romantic bed and breakfast inns; and the old city charm provide the perfect backdrop against which to smooch, snuggle or otherwise canoodle with your loved one. A fabulous bed and breakfast option that is ideal for kicking the romance and sophistication up a notch is the St. Francis Inn (www.stfrancisinn.com). Rooms are spacious, the linens are heavenly soft and comfort and service abound. The St. Francis Inn is a member of the Inns of Elegance, as well as, Select Registry, a listing of the best inns in the world. 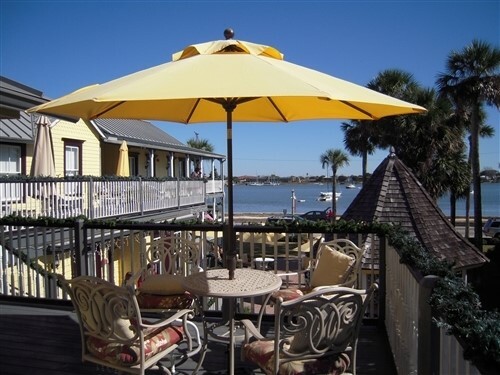 The St. Francis Inn has the proud distinction of being the oldest continuously operated inn in Florida. The home was built in 1791 by Sergeant Gaspar Garcia, who was given the land by the King of Spain with instructions to build a home with defense measures in mind. The European settlers not only worried about being raided by the natives, but fluctuating relations with the British brought commotion to the area as well. After changing hands a couple of times, the home was purchased by Colonel Thomas Henry Dummett of Britain’s Royal Marines in 1838. After Colonel Dummett’s death, his daughter Anna converted the family home into an inn and took in the first paying guests in 1845. The home has operated as an inn ever since. Over the years, St. Francis Inn has expanded to include 17 rooms which include suites, a private cottage and a beach house making it a hot spot for honeymooners. The beach house, which is steps from the ocean and only a ten minute drive from the main home, is open to all guests. A private courtyard and pool is the centerpiece at the main house and has become a very popular location for weddings. Innkeepers Joe and Margaret Finnegan have created romantic packages for weddings of all sizes with extra touches like a licensed officiate, horse drawn carriage ride, champagne toast with keepsake flutes and a delicious wedding cake . Speaking of food, in my opinion the best part of staying at St. Francis is the incredible home-made food. Full time Chef Gary Douylliez creates delicious, made-from-scratch hot breakfast entrées with fresh, seasonal offerings. Don’t miss the evening dessert hour where Chef Gary serves a variety of sweet indulgences along with house blend coffees, teas and hot chocolate. Finally, the late afternoon social featuring wine and appetizers is sure to kick off your evening on a festive note. 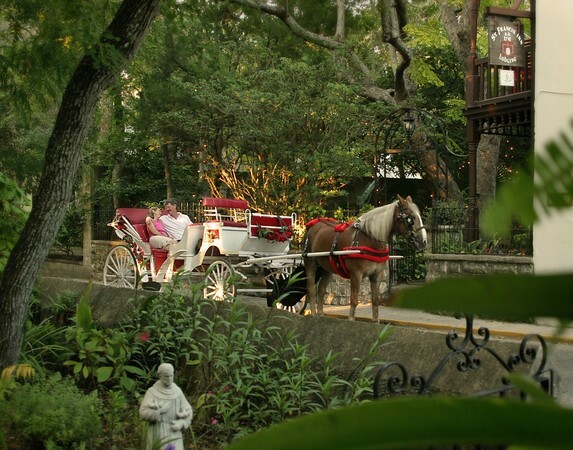 St. Augustine is a haven for lovers and the city makes no effort to conceal its romanticism. Couples stroll hand-in-hand along the banks of the Matanzas Bay and on the narrow streets that make up the Old City or historic district. There are historical sites, romantic specialty shops and amazing restaurants around every bend. One of my favorite restaurants is the Bistro de Leon on Cathedral Place. It is known as a “chef’s restaurant” and is truly a French bistro. Chef Jean-Stephane Poinard, a fifth generation chef direct from Lyon, France, creates daily specials based on the selection of the freshest local seafood, herbs and produce. Diners can also chose from the regular carte. His wife Valerie sees to the comfort of their guests, helping with food and wine selections. Another favorite is Raintree Restaurant. Awarded too many accolades to count, this 1879 Victorian home turned restaurant is a local tradition, serving outstanding contemporary cuisine at surprisingly affordable prices. Don’t miss the made-to-order crepes for dessert. Last but not least, be sure to visit the Columbia Restaurant. Situated in the middle of tourist-laden St. George Street, you’ll feel like you’re honeymooning in Spain amidst the colorful decor, bubbling fountains and the aroma of freshly prepared Spanish delicacies. For the history lovers, spend your days strolling through the city’s historic district, which is completely accessible by foot. The centerpiece of the historic district is the Castillo de San Marcos. Built by the Spanish from 1672 to 1695, it is the oldest masonry fort in the U.S. Another must see is the Lightner Museum which is the former Alcazar Hotel (circa 1888) and contains paintings, sculpture, art, Tiffany stained glass, furniture and the former largest indoor pool in America. Otto Lightner purchased the building in 1946 and donated it to the city to house his extensive collections (www.lightnermuseum.org). Across the street is Flagler College, the former Hotel Ponce de Leon. 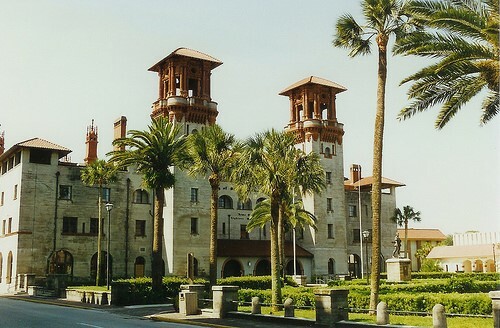 Built by millionaire developer Henry M. Flagler in 1887, the Ponce de Leon is considered one of the finest examples of Spanish Renaissance architecture and has included guests from Mark Twain to Theodore Roosevelt. Listed on the National Register of Historic Places, this architectural wonder contains Tiffany windows valued at over $30 million, and was one of the first buildings in the country to have electricity thanks to Thomas Edison. 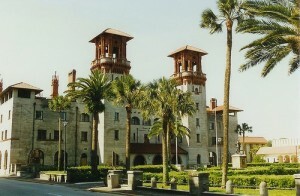 Daily tours are available, for more information visit (www.flagler.edu). A short walk from Flagler College, one finds the Oldest House Museum (early 1600’s). Known as the Gonzalez-Alvarez House, it is the oldest surviving Spanish Colonial building known to have survived. If you want to discover over 400 years of history within 9 historic houses, Old St. Augustine Village is well worth a couple of hours. All the buildings were built from 1790 to1910. 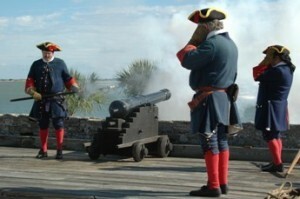 The docents do a fabulous job of bringing everything to life (www.old-staug-village.com). 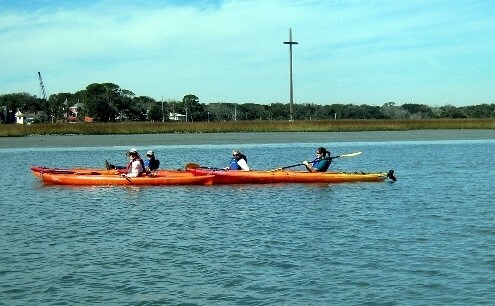 For the nature lovers, try St. Augustine Eco Tours (http://www.staugustineecotours.com) where couples can enjoy a guided boat excursion or a kayak tour for two on the surrounding inland waters and estuary. US Coast Guard Licensed Boat Captain and Naturalist Zach McKenna will introduce you to the local population of Bottlenose Dolphin, rare birds, unique hammock habitats, beautiful saltwater marshes and the best views of St. Augustine. The research boats are outfitted with underwater microphones, binoculars and marine specimen collectors, and have the ability to responsibly sail into the shallow waters of the salt marshes while offering a great viewing platform for eye to eye wild life encounters. St. Augustine is beautiful any time of year, but a winter getaway to the historic city can be especially charming. With the annual throngs of tourists usually not arriving until February or March, St. Augustine in the wintertime can be a magical, cozy place. Plus, each year from late November to late January, millions of twinkling white lights will illuminate the ancient streets and historic buildings of the country’s oldest city when the annual Nights of Lights celebration sparkles to life. Tracing its origins to the Spanish tradition of displaying a lighted white candle during the Christmas holidays, the spectacular lighting reflects the city’s history while creating a beautiful setting for special memories. St. Augustine is preparing to celebrate its 450th anniversary with a three-year-long celebration beginning in May 2012. The city will pull out all stops for this once in a lifetime event. Start planning now for your visit.